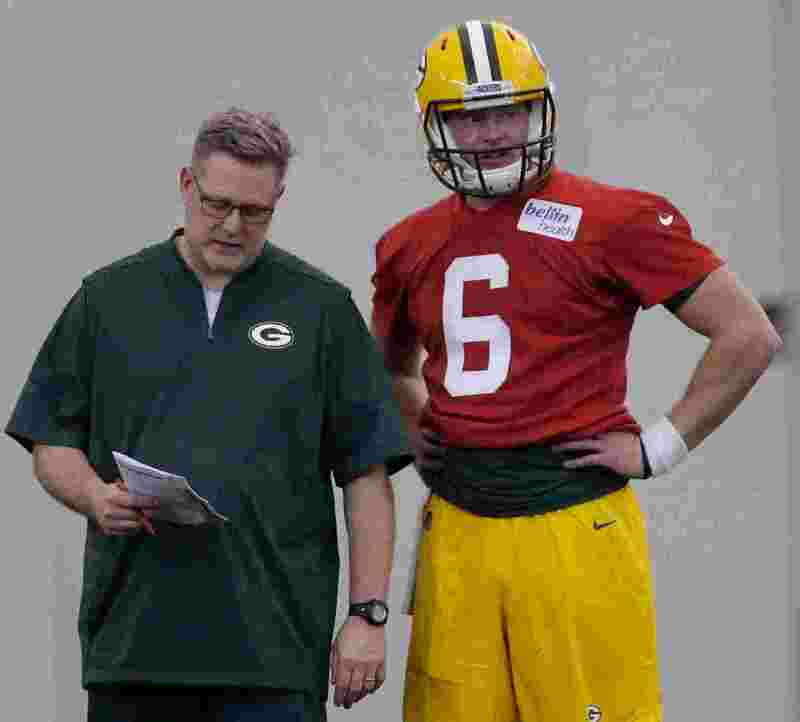 This is the first in a series of position-by-position previews of the 2018 Green Bay Packers following the OTAs and minicamps. Training camp begins on July 26. TIM BOYLE: The undrafted rookie has ideal size and a strong arm, but his college stats were horrific. The former Eastern Kentucky star completed only 55% of his passes and threw 14 more interceptions than touchdowns. He shows flashes on tape, but Taysom Hill was a much better prospect and the Packers couldn’t find room for him on the 53 a year ago. Boyle will need a good summer just to make the practice squad, He’ll also need top-notch coaching. Whether he’ll get that in Green Bay is debatable. Mike McCarthy’s reputation as a QB guru took a huge hit last season. BRETT HUNDLEY: The former fifth-round pick started nine games last season, and the results weren’t pretty. Even worse than throwing more INTs (12) than TDs (9) and beating only the hapless Bucs, Browns and Bears, the three-year veteran from UCLA exhibited the pocket presence of a rookie. That’s an indictment of both the player and the coaching staff. New GM Brian Gutekunst didn’t trade for DeShon Kizer to be the No. 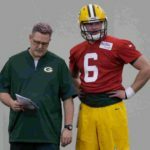 3 QB in 2018, so there’s very little chance of Hundley being on the 53 come week 1. The only question is whether he’ll be cut or traded. For the latter to happen, he’ll need to perform well in the preseason. DESHON KIZER: It’s fair to cut the ex-Brown some slack for his awful play last season. After all, he was a rookie starting for one of the worst teams in history. That said, the 22-year-old made some decisions that would’ve embarrassed even a high schooler. And unfortunately, poor decisions have been a staple of his game for years. That’s why I didn’t like him coming out of college and why I don’t think he’s the answer to Green Bay’s seemingly never-ending search for a legit backup QB. Is Kizer better than Hundley? Probably. Is Kizer capable of beating quality teams should God-forbid something happen to Aaron Rodgers? Doubtful. AARON RODGERS: There’s no player more valuable to his team than No. 12 – something that became painfully obvious last season. The Packers opened 4-1 with the two-time MVP under center, but they were barely able to beat the 0-16 Browns without him. 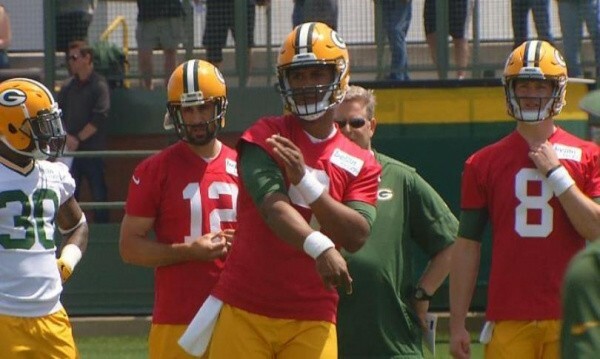 It’ll be interesting to see how Rodgers throws the ball with two metal plates and 13 screws in his 34-year-old right shoulder. Reports from the OTAs were positive, but I want to see for myself. If he’s 100% and can stay on the field for 16 games – something he’s only done three times since 2012 – Green Bay should be back among the elite in the competitive NFC. Overall analysis: With Mike Pettine in and Dom Capers mercifully out, the Packers might finally have a defense good enough to at least give them a chance of competing without the best player in the game under center. But that’s not a theory anybody wants to try and prove in 2018. The Packers aren’t the Eagles. McCarthy isn’t Doug Pederson and Kizer isn’t Nick Foles. Getting back to the playoffs will only happen if Rodgers can avoid the injury bug that cost him seven games in 2013 and nine games a year ago.